This is the GP380 electric motor from Tamiya. 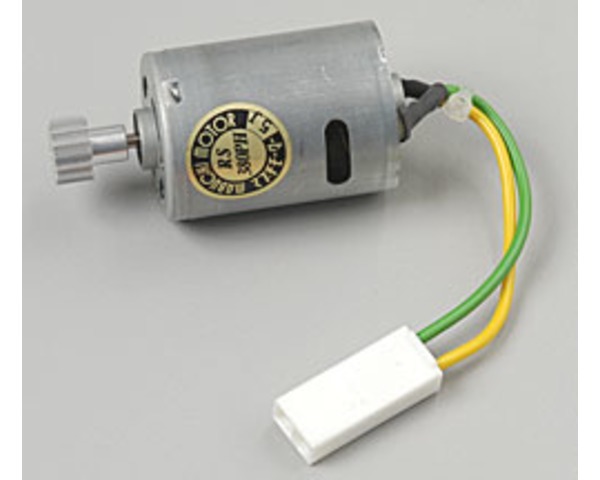 It is used as the electric starter motor for the Terra Crusher. One GP380 motor with pre-soldered wires, connector and drive gear. None, item is stock replacment part.